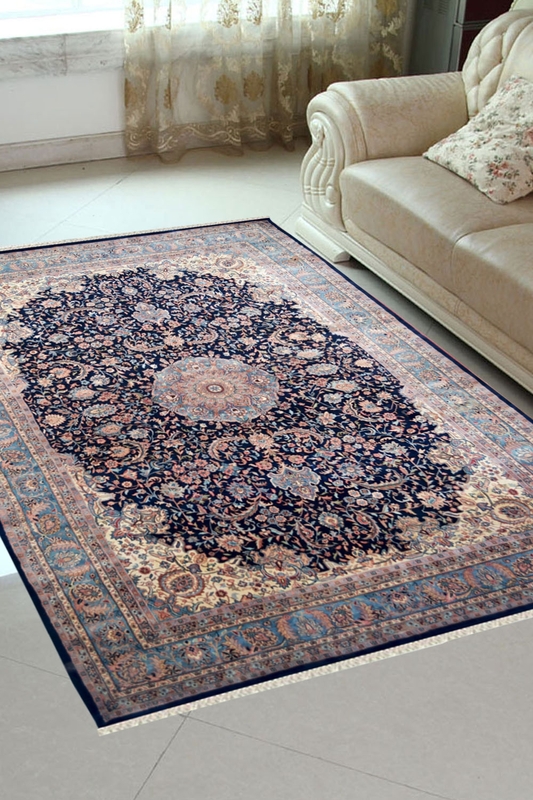 This carpet contains a classic medallion Kashan pattern on the blue ground, gives an excellent look. It has taken approx. 9-10 months to weave. This is the superior quality carpet which is ideal for the living area and bedroom as well. You can also use it in your guest room. Wow, Amazing design pattern it has. Kashan Handmade Rug has one of the most intricate design patterns. It is a pure Persian Carpet. It has a very defined design with very tiny motifs. The ground of this carpet is contained medallion pattern in the center and ground is filled with very small motifs. This carpet reflects the true talent of our weavers. It has a beautiful border which contains floral design pattern. The design of this carpet is inspired by a flower garden and contains flower motifs.